Are you a people pleaser? Do you find yourself saying yes when deep down you wish you could say no? Do you have anxiety about doing so much for others when you don’t have time to look after yourself? 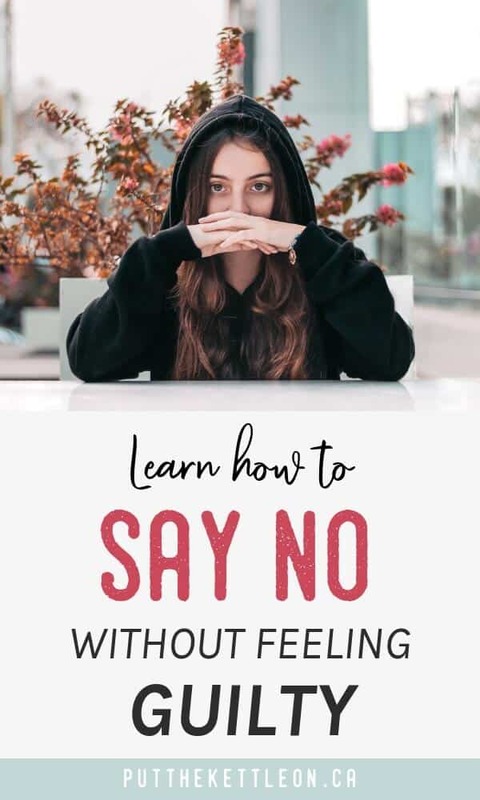 Learning how to say no could be your first step to being kind to yourself and finding the balanced life you deserve. She is REALLY GOOD at saying no. I might call her up and ask if she wants to go for a coffee and she will simply say, “No, I’m relaxed and don’t feel like getting off the sofa”. I strongly admire her for this. My friend is honest, doesn’t do what she can’t and when she is there for you it’s because she truly wants to be – and she gives it her all. What’s interesting is, even though she is great at saying NO to people, she has also been my rock and been there for me when no one else has. This means she says yes to things that can sometimes be stressful or tough, but it’s because she makes it a priority to help those she loves and those who don’t have high expectations of her. This gives her joy and enables her to be a caring, thoughtful individual. This friend of mine is honestly the happiest person I know. If you were to start saying no – you may not think that people would think about you the way I describe my friend. What we don’t realize is that if we say no to some people or obligations, it opens up our lives to be present and say YES to the right people and experiences. Here are 5 Simple Steps to Uncover Your Stress About Saying “No”. 1. Understand WHERE the guilt is coming from… do you have a friend or family member giving you guilt or is the guilt coming from you? If you are giving yourself guilt, can you think of why? 2. Know WHY saying NO is important. What does saying no give you? More balance? More time to say yes to what you do want to focus on? 3. Think about WHY saying no is hard for you. Are you worried people won’t think of you in a good light? Do you want to help, even though you know you may not have the energy to? 4. Think about WHO you are saying no to. Do you feel like you are constantly going out of your way to help someone who is never there for you? You might want to think about saying no to someone like this, so you can say yes to those who do support you. You may realize that the people who need you most, don’t ask for it, and the people who consistently ask for help are never the ones to give back to you. 5. Be MINDFUL of your happy balance. Is saying yes giving you anxiety because it’s taking you away from things you need and want to be doing for you and your family? Try this… Write out all of the things you do for others and what you do for yourself. 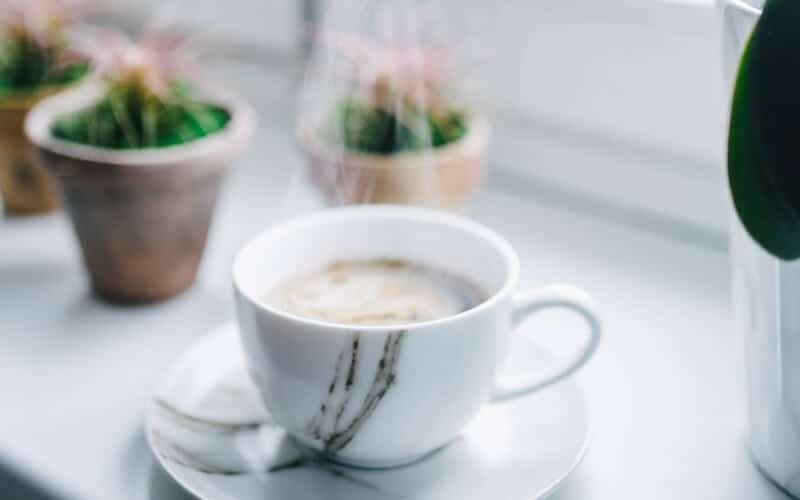 If there is a massive imbalance you’ll know it’s time to start adding to your self-care list. To allow for this you may need to start saying no to some people and situations. So, HOW do you know if you should say no? Who’s asking? Are they usually there to support you? RELATED: The Power of No. Because One Little Word Can Bring Health, Happiness, and Abundance. Be honest… example: ‘I only have time to focus on family right now, but let’s find time to get together next month’. Get to the point… Do not, I repeat DO NOT say maybe if you want to say no. You will give yourself stress and anxiety if you ultimately plan on saying no. Save yourself the stress and time and say it upfront. Be kind… If you have to say no to someone, deliver it with kindness. If they are your friend, they will understand. Saying yes to the RIGHT things is important to having fun, giving back and living life to the fullest. This post is not about saying no to everyone or all experiences, but about being authentic to yourself and helping you find the balance you’ve been needing. Learning to say no is about creating boundaries to find your fulfilment. I love this post, Yolanda. And I SO admire your friend! I struggle with saying no in both work and life. My sister has a fantastic phrase, which is getting volun-told to do something; this is what I deal with at work all the time. Your reminder to not say “maybe” if you really mean no really stands out to me. I need to start practicing that much more often. Thanks for these great questions to ask myself before saying yes, this will really help. Hey Paula! You actually remind me of my friend a little. I’ve told her about your website for all your great lists and advice 🙂 Ha! Volun-told – I know what you are talking about in that lovely corporate world! Great advice, I feel like I have gotten better at saying no in the last few years, but I still feel guilty about it sometimes. Thanks Emily 🙂 I totally agree with you. I’m better too, but the guilt still appears from time to time. I tend to feel bad if I say no to some things, but it’s definitely something that we should all be okay with doing more. We don’t have endless reserves after all! Hey Lauren! Even though I’m better at saying no, I can still feel bad at times too. Hoping it gets easier with age! I had a baby this past year, and I have finally learned how important saying no can be. I can work on the not feeling guilty part though. I try to view it as, whatever I decide to say yes to means I am saying no to spending time with my family. I try to only say yes to the things that are high on my priority list. And honestly, there’s a freeing feeling that comes with saying no to some things in order to live a more balanced life. Thanks Jemma 🙂 I think you can still be a yes person, just not to absolutely everything! Something I have been really trying to work on. Sometimes you have to say no to good things so you can say yes to better things. I don’t know where I heard that but it is so true! I like you’re thinking and how true. We only live once so we need to really focus on this! This is a huge struggle for me! I’m terrible at over committing and then finding myself WAY over scheduled. Thanks for the tips! Hope they’re a little helpful. Overcommitting is a big stressor and if you have to go back and cancel plans then that doesn’t feel good either. Just say no ton start off or somehow find more time in the calendar?! Hard, I know! This no guilt can creep in at times, but I must say as I age and mature I am getting much better at confidently saying no to things I don’t want to do! I’m the same – the older I get, the better I am at saying no. I’m just too busy to do everything for everyone but myself! This is something I really need to work on, both saying no AND not feeling guilty about it! Your suggestions are great, too. I especially like how you point out that it should lead to happiness. Guilt and happiness are not compatible with one another! You sure have that right – guilt and happiness are like oil and water. Get rid of the guilt and happiness can take place! Thanks Juanita! Glad it’s helpful. It is so important to recognize why we are feeling guilty! Sometimes, the guilt is there to convict us that we need to be doing something but other times, it’s just trying to make us people-pleasers. 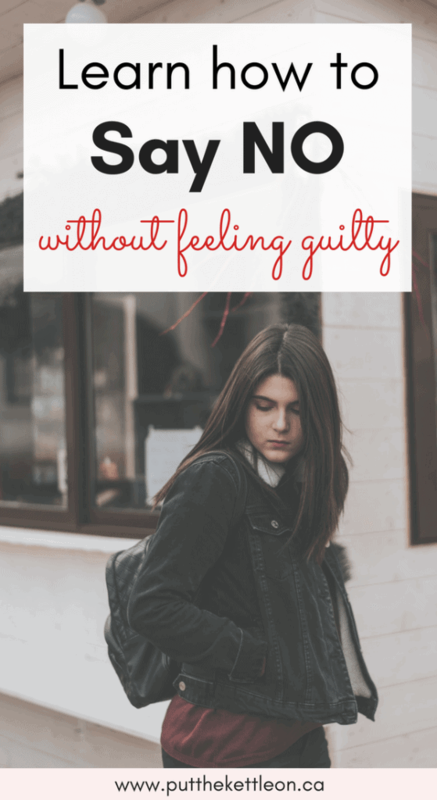 I agree – knowing why we feel guilty will help us NOT to feel so guilty. It’s a horrible feeling. I totally understand! Sometimes you just have to DO IT and just let it go. I truly love this post! I find that I also struggle with saying no to things and feel obligated to do things for certain people but this post really puts things in perspective. I will have to just try to prioritize and choose myself sometimes. Thanks so much! Good plan to prioritize yourself – it’s SO important. Oh man did I need to read this. I have so much trouble with saying no. Recently I said no to someone and was so proud of myself. Then my no somehow got taken as a yes, so I’m still stuck, and it makes me so mad. I’m working on this. I hate to disappoint people, but I have my own life. Thanks for the encouragement! Oh no! It is really hard to say no – especially to someone you love. I hope it goes better next time! I made saying no one of my goals last month. Certainly got some practice with someone who asked and then asked again because I’m expected to give in. Well I didn’t and it felt great. I feel like saying no to others is my way of saying yes to myself and those I love. I cannot be everything to everyone. I used to say yes to pretty much everyone and everything. That was great when I was very young, still living at home with my parents, and just had myself to look after. Once I moved into my own place, I started to do what your friend does. Now, I even sometimes say no to my family because I need much more alone time than I used to. But it’s healthy. And I love my downtime. And because I can say no, I’m teaching my girls to know their boundaries as well. They won’t have nearly as much trouble seeing them respected, because they’re more aware and capable of telling friends when they need extra space. I always had trouble with this but now that I have a chronic illness I have to say it much more than I would like. I have gotten used to saying it but the guilt is still there. Thanks for this post. It has given me some real tools to work through those guilty feelings. I am really glad I read this post. I always find myself saying yes when I should say no, and it leaves me exhausted and surrounded by people who really don’t care about me. Maybe I’ll be able to take what I’ve read here and apply to my life and give myself the downtime and healthy relationships I need. As a person who has a hard time saying no, I needed to read this. 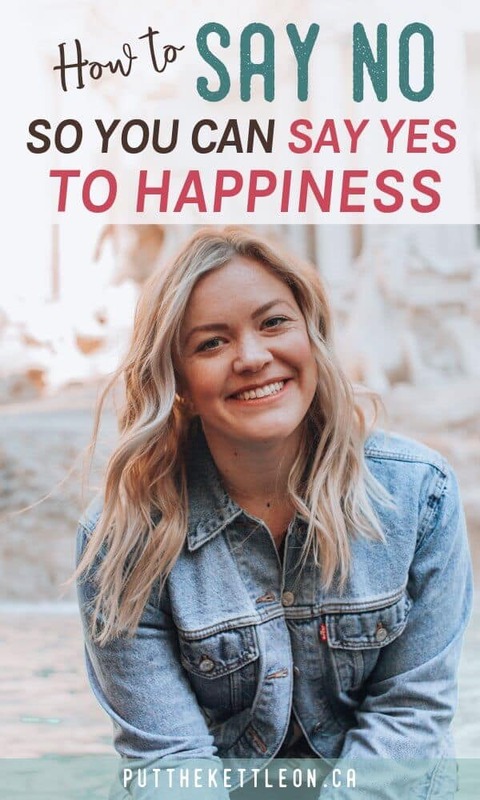 I have always said yes, even when I really wanted to say no because my parents ingrained in me that it was more important for me to make people happy than for me to be happy – yes, that’s extremely messed up, but I’m working to break that way of thinking. This is such an important lesson to learn! Saying no doesn’t make you a bad person, just one who prioritises and takes care of their mental health in the process.